On the 23 May this year, the Minister of Home Affairs announced that, in accordance with a recommendation of the United Nations High Commission for Refugees (UNHCR), from the 31 August 2013 the South African government intended to cease the recognition of Angolan asylum seekers. Hence, the window of opportunity for current Angolan refugee’s to act upon this information, through voluntary processes for repatriation or alternative applications for temporary residence, has now ended. What does this mean and what more can be done for those Angolans who have found a home in our country? This article will focus on the potential to invoke the section 31(2)(b) exemption application. In a press statement on 29 August 2013, Home Affairs Deputy Minister, Fatima Chohan, announced that approximately 60% of Angolan refugees in South Africa visited the ‘one stop service’ centres over the 14 week period in order to apply for their preferred option. However, there will be a substantial number of Angolan refugees and asylum seekers facing great uncertainty over their future in South Africa. What has been offered so far and where are the gaps? 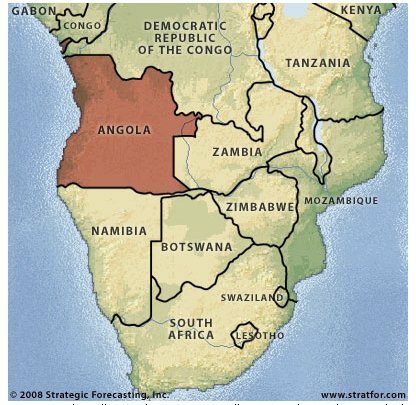 1) Assistance in voluntary repatriation: through collaboration between the Department of Home Affairs (DHA), UNHCR and the Angolan Government, refugees could return to Angola via an “assistance program”. 2) Remain in South Africa on alternative temporary residence permits: This required the surrendering of one’s refugee status, acquiring a valid Angolan passport and submitting an application for temporary residence. Designated help desks were made available to facilitate this process and certain requirements were relaxed. The temporary residence permits, valid for two years only, could include: work; business; study; and spousal/relative permits. Angolan refugees opting for the continued protection under the Refugee Act 130 of 1998 were entitled to submit their motivations to the Standing Committee for Refugee Affairs (SCRA), despite the so-called “material changes” in Angola. In terms of the implications of the cessation for pending asylum seeker applications, it appeared that the aforementioned voluntary processes excluded such persons, but that these applications would most likely be rejected by the Refugee Status Determination Office and that these particular Angolans would no longer be lawfully residing in South Africa. “We remain concerned that vulnerable individuals, such as unaccompanied Angolan minors, Angolans who might have difficulty proving their claim to Angolan nationality, and those from the DRC border provinces such as Uige and Kabinda, may have difficulty accessing current arrangements. We also remain concerned that the permit application process may take longer than anticipated and as a result put many Angolans into ‘legal limbo’ while they await their new documentation”. The issue of Angolans experiencing difficulty in proving their claim to Angolan nationality (and hence not receiving a passport) is a real and pressing concern. This category of unsuccessful applicants can be referred to as ‘stateless’: they have no documented or family relation to Angola and are denied any form of status or protection under South African immigration and refugee law. Article 1(1) of the 1954 Convention relating to the State of Stateless Persons defines a stateless person as, “someone who is not considered a national by any state under the operation of its laws”. According to the UNHCR, more than 12 million people worldwide are believed to be stateless. These people do not enjoy the protection of any state and are often restricted from accessing certain fundamental rights, such as education and the ability to work. It is unknown if, in the circumstances, the DHA will adopt a slightly more lenient approach toward Angolan refugees who were unable to take advantage of the window period and the voluntary processes provided. Such persons will have no option but to apply for temporary residence permits in terms of the normal procedures and fees determined by the Immigration Act, and pending the issuing of the permit, the applicant will be undocumented and labelled as an illegal immigrant. Furthermore, such an application will require an Angolan national passport to be submitted to the DHA as supporting documentation. As a consequence of this requirement, refugees who were unable to acquire Angolan passports will again find themselves in ‘no man’s land’. (ii) for good cause, withdraw such right from a foreigner or a category of foreigners”. Surprisingly, this application for exemption has not been frequently pursued despite having the potential to fulfill an important role “given that there is no dedicated system for identifying and protecting stateless persons in South Africa”. Unfortunately, this has created a situation where legal practitioners and the DHA alike have very little experience with this procedure and, as yet, are not sure what the Minister may accept as “special circumstances”. This uncertainty is aggravated by the non-existence of specific regulations providing guidelines on how to submit, process or review a section 31(2)(b) application. Let’s look closely at the story of 38-year-old Jao Pedro. In his circumstances, it may be possible that a section 31(2)(b) application could apply. His experience of the cessation was covered by an online article published earlier this month. Mr Pedro, a pipe fitter based in Cape Town with his three children, approached a help desk as directed in the DHA notice. At the help desk he was instructed that refugees were required to reapply for Angolan citizenship and produce their passports. Due to a drawn-out passport application process, Mr Pedro ultimately missed the window period and will be required to return to Angola to acquire his passport. This will most likely take a period of two months or more, which could result in him losing his pipe fitting job. He also runs the risk of his application not being successful. In this case, the envisaged voluntary processes offered by the DHA were dysfunctional. They placed a man who has been protected under his refugee status in the country for 14 years, in a life altering predicament. It could well be argued that Mr Pedro’s situation constitutes special circumstances; they have established a life in South Africa which has now become their home and, for his children, life as they know it. His story is not unique. The section 31(2)(b) exemption application is one that may be relevant for many affected families, both at the present time and within the course of the following two years, when the temporary residence permits granted during the window period expire. The obvious option, of course, would be to apply for an extension, but families such as the Pedro’s would no doubt have a preference for something more secure, especially when their tenure in the country is going on for 16 years or more. We can expect that the section 31(2)(b) procedure will be a valuable mechanism over the coming months, and submitting such an application on a more regular basis will result in a growing familiarity with the challenges it presents, and the confines of the ‘special circumstances’ requirement. However, it must said, that although the Angolan cessation will most likely contribute to the development and practice of this section, it could have been implemented in a more effective manner, avoiding the difficult and uncertain position that families and individuals now find themselves in. Next Next post: Ready to Learn?